Shopping for Preacher Pop! Vinyl Figures? The beginning is nigh! Preacher transforms the beloved comic into an action-packed television series only on AMC! Who better to help Jesse Custer, a small town preacher, on his mission to find God, than Tulip O'Hare! 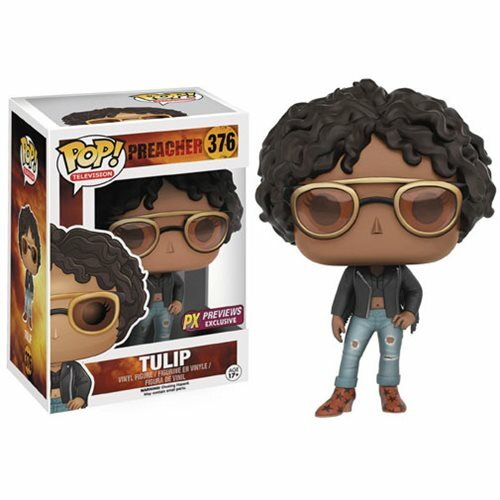 This Preacher Tulip Pop! Vinyl Figure measures approximately 3 3/4-inches tall and comes packaged in a window display box. Ages 17 and up.